In our last blog post, we discussed why pruning in your forest or garden is important to do. When pruning with your hand saw or loppers, you end up with the resulting cut branches. That lead to bringing you this article showing you how to use some of those branch cuttings to create some useful and artful hooks for clothing, jewelery, boot dryers or any number of other uses you can come up with. 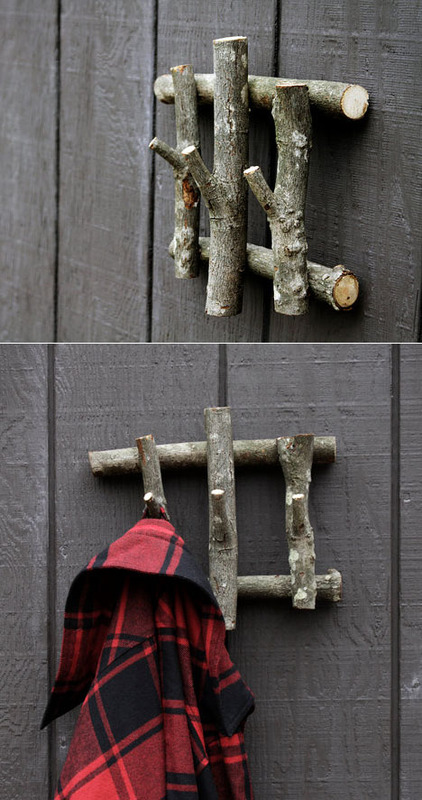 We like it because it’s a great way to repurpose cut branches into something you can use around your home. It’s creative and environmentally friendly in many ways. It can save money on having to purchase hooks or dump fees to haul the garden waste. Seems like a simple way to bring in a rustic feel to the place. I’m going to try it for rain gear and maybe even make some boot drying racks!